We will miss high pitch talking escalators. 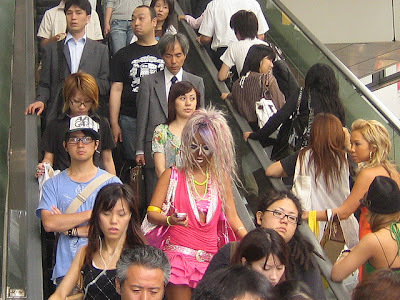 Escalators which are interesting to ride at the train station....BTW the gal in the center is sporting a look known as Yamanba or Ganguro. Note the expressions of the other gals....and that I've only seen this in big cities. 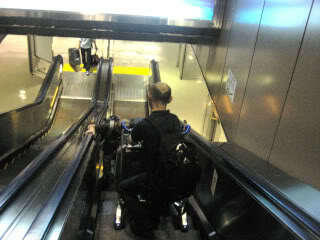 I truly will miss riding the escalators in Japan. Many fun memories of luggage carts, shopping carts, two way foot traffic on various escalators.